NASA’s Juno mission, which was started in 2011 and initiated its first orbit last year, allows researchers to view Jupiter in new ways thanks to the probe's extremely elliptical orbit, which travels over the planet's poles and plunges within 5,000km (3,100 miles) of its cloud tops. Now the NASA probe has taken new images of the gas giant's hectic cyclones, which are up to 1,400km (870 miles) across, approximately the length of Japan. A statement by NASA described the planet as 'a complex, gigantic, turbulent world' that is far not the same as researchers previously thought. This image shows Jupiter's South Pole [Jupiter from bottom], as seen by NASA's Juno spacecraft from an altitude of 32,000 miles (52,000 kilometers). Two research papers in the journal Science and 44 research papers in Geophysical Research Letters explain a trove of findings made since Juno started orbiting Jupiter last year. With dozens of cyclones hundreds of miles across - along with unidentifiable weather systems extending thousands of miles - the poles look nothing like Jupiter's equatorial section, directly identifiable by its strips and Great Red Spot, a raging hurricane-like storm. He calls these first main discoveries 'Earth-shattering. Or should I say, Jupiter-shattering. 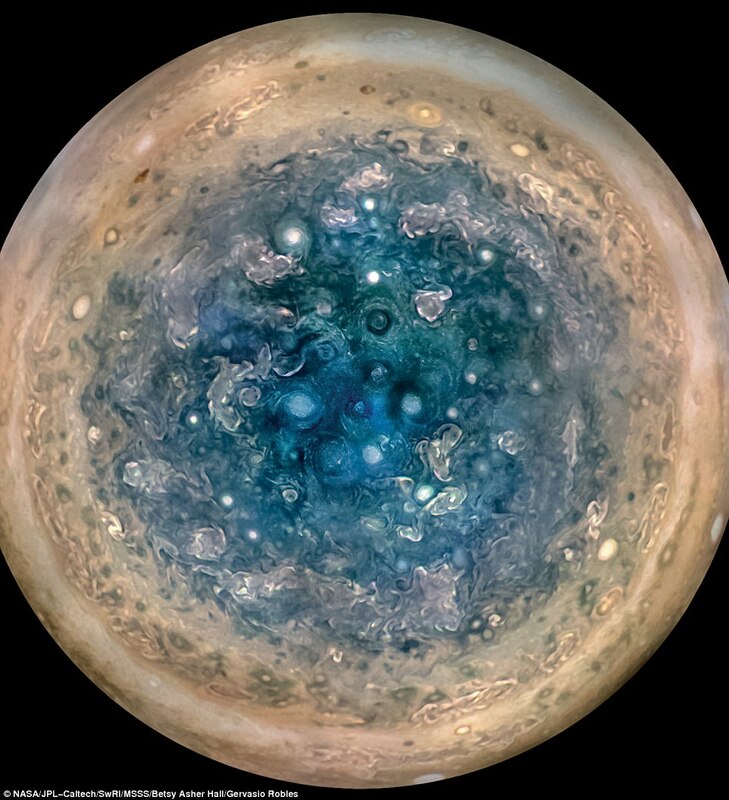 A look at Jupiter's poles has shown they are covered with dozens of densely clustered storms, possibly dropping hail or snow. 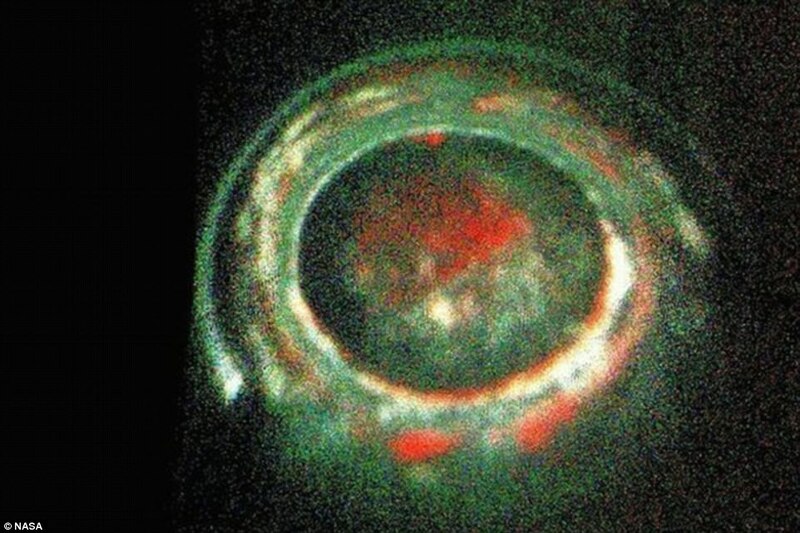 'Images of Jupiter's previously-unseen poles show a chaotic scene of bright oval features,' said one of the studies in the journal Science. Now, more study is needed to better understand the nature of Jupiter's storms, and why the planet acts this way. Meanwhile enjoy these breathtaking view of the largest and one of the most mysterious planet of our solar system.